As eDimensional says, "It's all in the wrist." That's never been more true than with the G-Pad Pro Gyroscopic Gamepad. You were thinking of something else? Well get your mind out of the gutter, son! 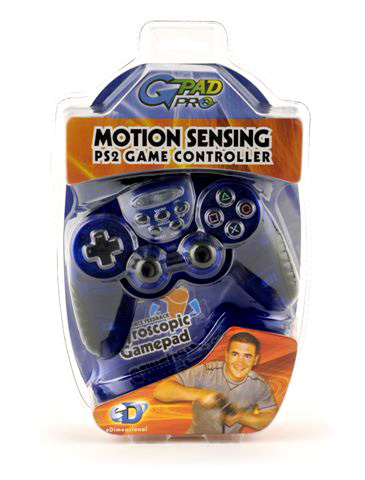 Featuring patented VRMS (Virtual Reality Motion Sensing) Technology, you can now take control of your PC and PS2 games like never before. The G-Pad Pro does not require special games; you can use it on virtually any existing game on your PC! Experience increased precision in many games and decreased hand fatigue after extended gameplay.